Where can I find a re-claimed barnyard door? I would like to separate my office with a beautiful, rich colored wood door. I love Cliff Spencer's barnyard doors that he makes out of "Wine Oak," a name he coined. Cliff Spencer is a furniture maker who likes to use re-claimed wood and reclaims oak staves from California wineries and transforms them into barnyard doors and other one-of-a-kind pieces. Yes, I did say wine. 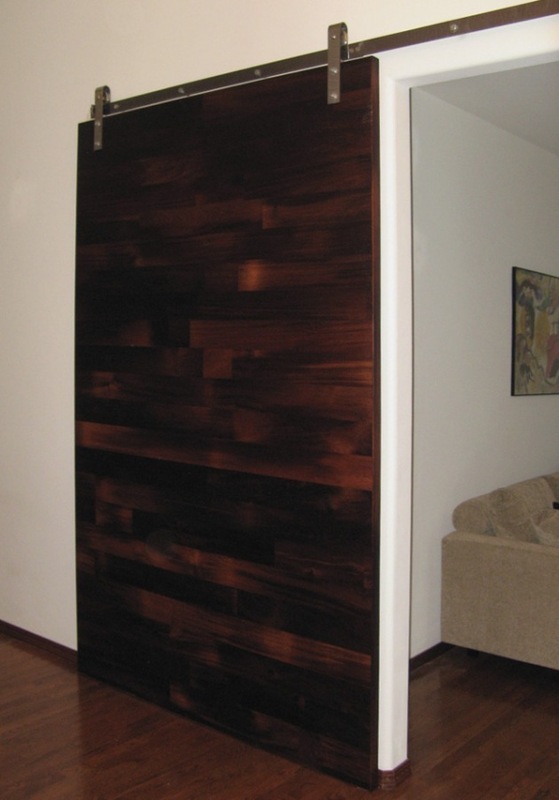 How cool would it be to have a door stained from wine- Pinot Grigio for a light stain or Pinot Noir for a darker stain? Check out the beautiful colors and great joinery and craftsmanship! They are uh-mazing! He uses hardware from Crown Industrial. Cliff Spencer primarily works in Los Angeles but he does ship furniture across California and the Unted States.